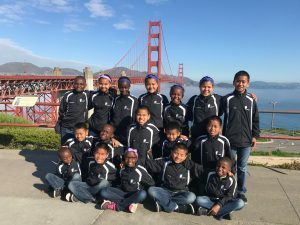 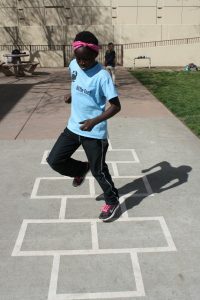 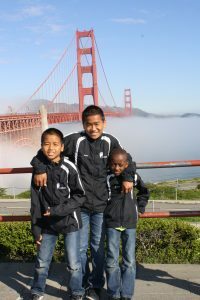 The HLF children by the Golden Gate Bridge, San Francisco, CA. 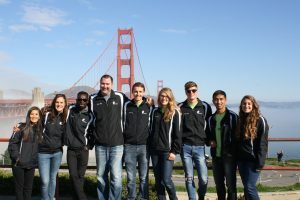 HLF tour staff at the Golden Gate Bridge. 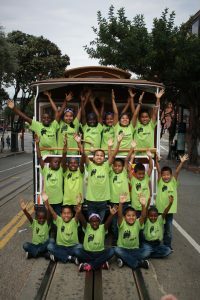 Riding the Cable Car in the city to the Fisherman’s Wharf. 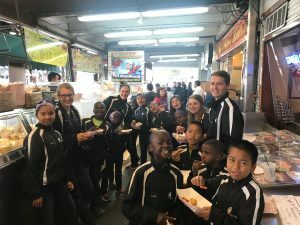 Fish and Chips at Fisherman’s Wharf. 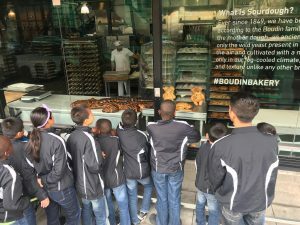 Window watching at the Boudin Bakery. 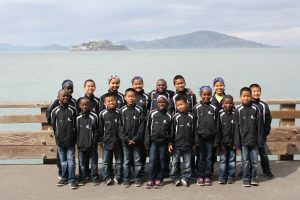 The children at Pier 39 with Alcatraz Island in the background. 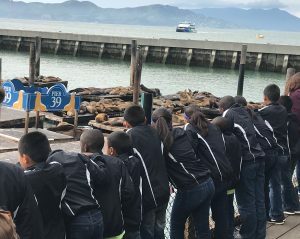 Watching the seals at Pier 39! 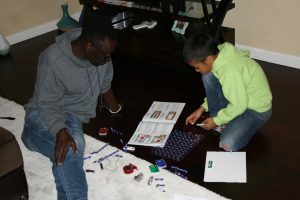 Uncle Seu and Mawia building an electrical circuit kit. 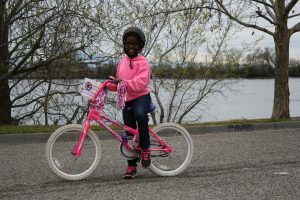 Wanja riding a bike by the Delta River. 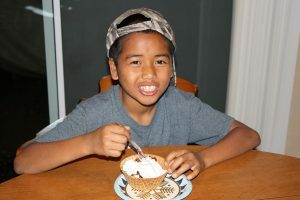 Mawia enjoying a bowl of ice cream. 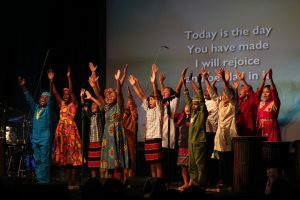 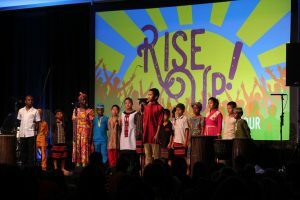 Hriata sharing his testimony during the HLF program.